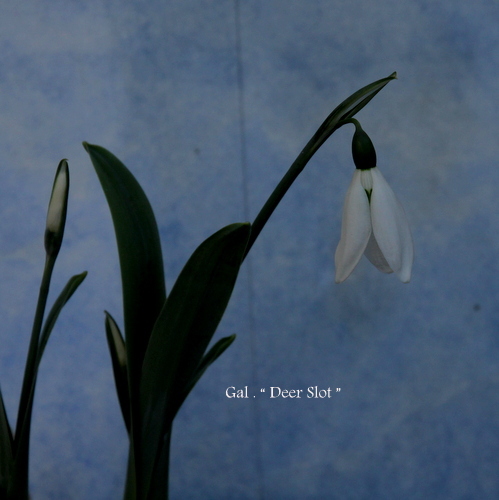 Gal. “Deer Slot ” Elw . 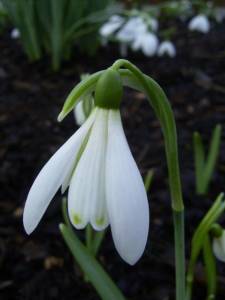 Impressive snowdrop with large,elegant flowers . The two markings on the inner perianth segments resemble the hoofprints of red deer . A very conspicuous snowdrop with extremely large flowers found in the garden of Primrose – Warburg .